"A funky guitarist with a rough and powerful deep soul singing style, Atlanta musician Lee Moses deserved a much wider audience during his lifetime, but although he released several dynamite singles and an engaging album in the late '60s and early '70s, he is a true lost figure in the history of R&B. Moses was born on March 13, 1941, in Atlanta, GA, and attended Booker T. Washington High School, where he sang in talent shows and learned to play guitar. He formed his first band, the Showstoppers, in the 1950s, and the group was an extremely big draw in the Atlanta area. Moses met New York producer and scene hustlerJohnny Brauntly around 1965 and began working as a session guitarist for him (along with another session player, some left-handed guitarist named Jimi Hendrix) in the Big Apple. 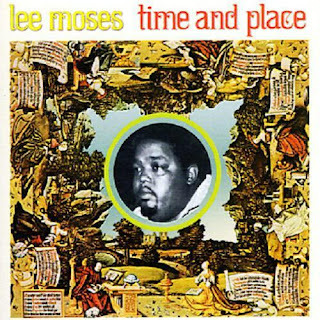 Moses cut three singles for Musicor Records in 1967, followed by a couple more for Dynamo Records and a nine-track solo LP in 1971 for Maple Records entitled Time and Place, which saw him backed by his own band, now called the Disciples, and various members of the Ohio Players. The album sold little at the time but has become a revered and highly sought-after lost treasure for deep soul fans and collectors. Moses' last known release was a version of "The Dark End of the Street," which appeared as a single on Gates Records in the early '70s. He returned to Atlanta shortly thereafter and the city remained his home base for the rest of his life. He gigged locally there but apparently did not record again. He died in Atlanta in 1997. Castle Music combined all of Moses' singles with the 1971 LP tracks in 2007 and released them as the Time and Place CD, essentially creating a long-awaited collected works anthology." You are great! thanks for sharing all this rare great funk!